To be honest, I guess I shouldn’t be surprised that the issue set to focus on burnout is proving to be hard to find writers for. Well, to be more specific, it’s proving hard to find writers that can commit to the task of writing a piece about their personal struggles with burnout within the vegan/AR community. 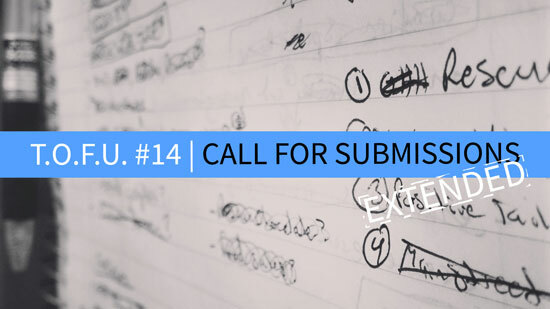 Thus, after having nearly half of the people who pitched ideas to me pull-out over the last few weeks, it seems I have to once again put out a call for submissions for T.O.F.U. #14. So, if you’re interested in writing for the magazine, and you think you’ve got a good idea related to burnout (while also having the time and energy to write about it), please check out the submission guidelines and get in touch. You can find all the other details here.